Panel insert for BS-1 Bracket. *Made of .040 heavy-duty aluminum. *Includes two brass grommets to hang on BS-1 bracket hooks. Warning. 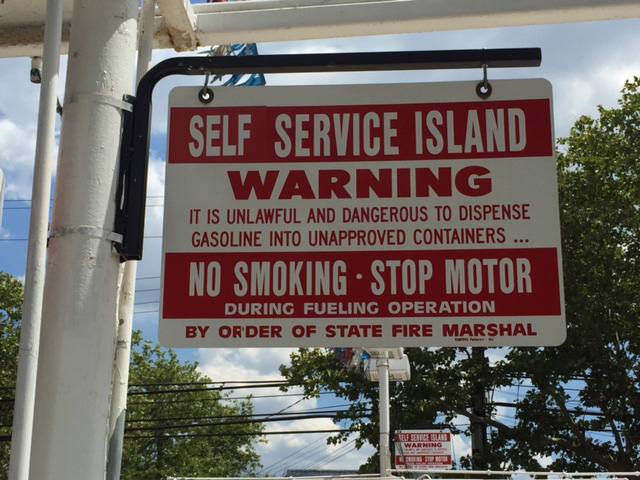 It is Unlawful and Dangerous to Dispense Gasoline into Unapproved Containers. No Smoking. Stop Motor. 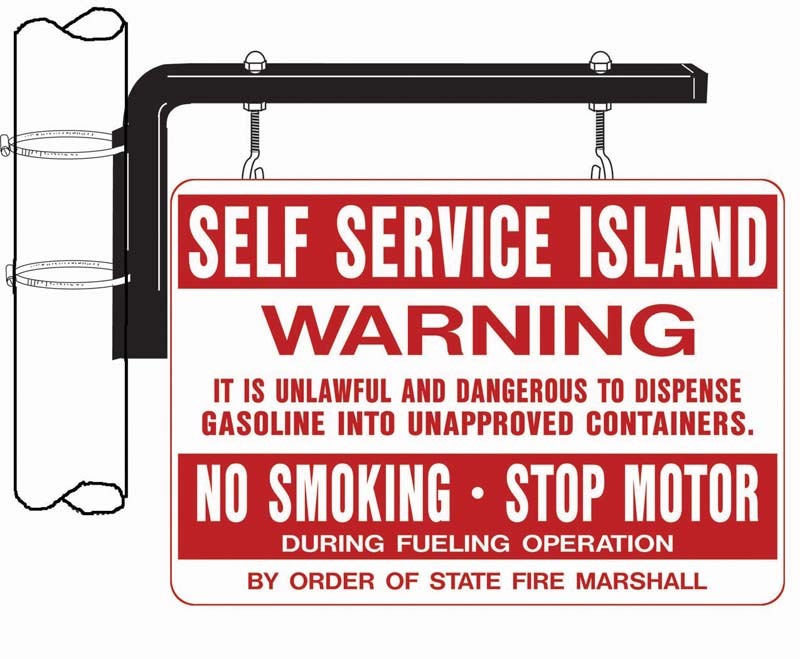 During Fueling Operation. 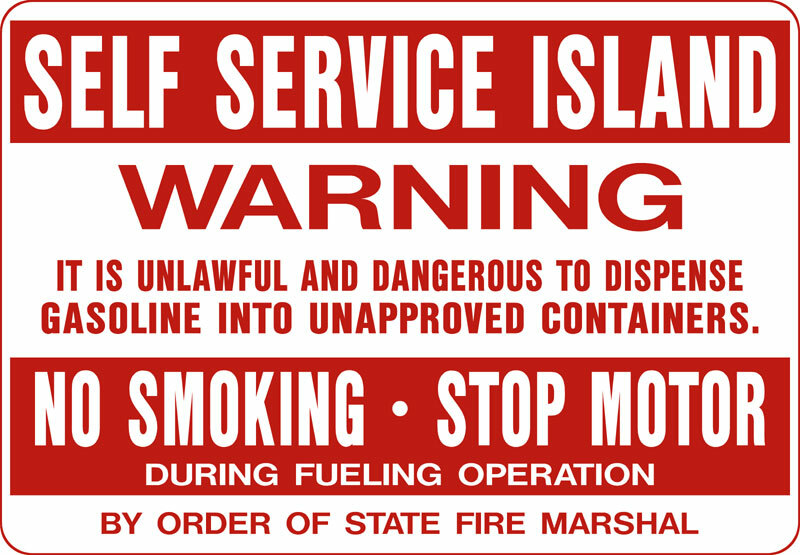 By Order of State Fire Marshal.